There's a new zombie film coming out in limited release this August 15 and MTV just released a trailer. 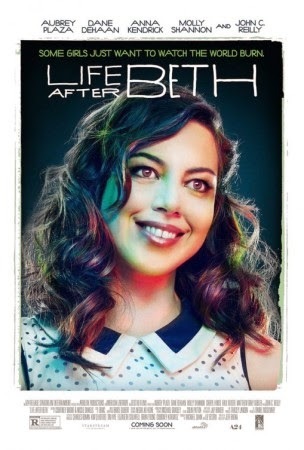 The ZomRomCom, Life After Beth stars Aubrey Plaza ("Parks and Recreation") as newly dead and hungry, "Beth Slocum," and Dean DeHaan ("The Amazing Spider-Man 2") as her confused boyfriend. The film premiered in at Sundance last January and has received critical acclaim. The film also stars John C. Reilly and Molly Shannon as Beth's parents, plus Cheryl Hines, Anna Kendrick and Paul Reiser. Keeping the zombie genre fresh is key but does this fit the bill? Unlike in Warm Bodies where "R" blossoms thanks to love, it appears that Beth starts out looking all fresh after her resurrection but them turns cruddier and more violent. Ahhh relationships...they're even complicated with dead people. Enjoy the trailer (via Bloody Disgusting) and let us know what you think.